Features data import and export (CSV, XML), many data types, powerful search etc. 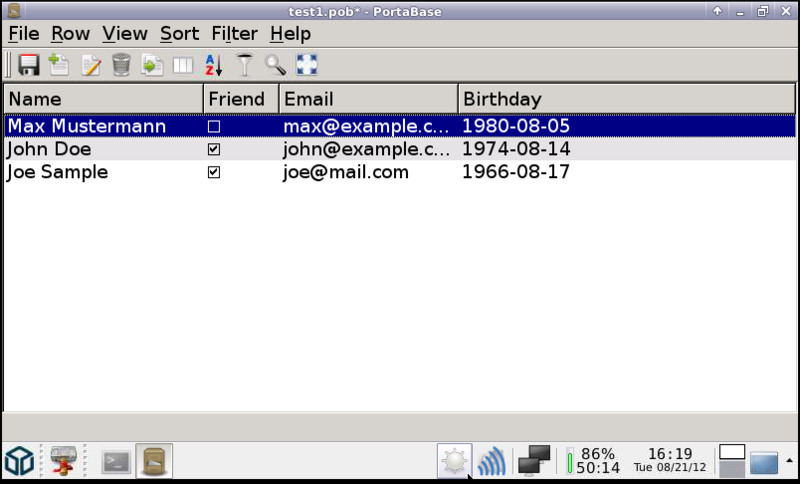 Data files can be password-encrypted. 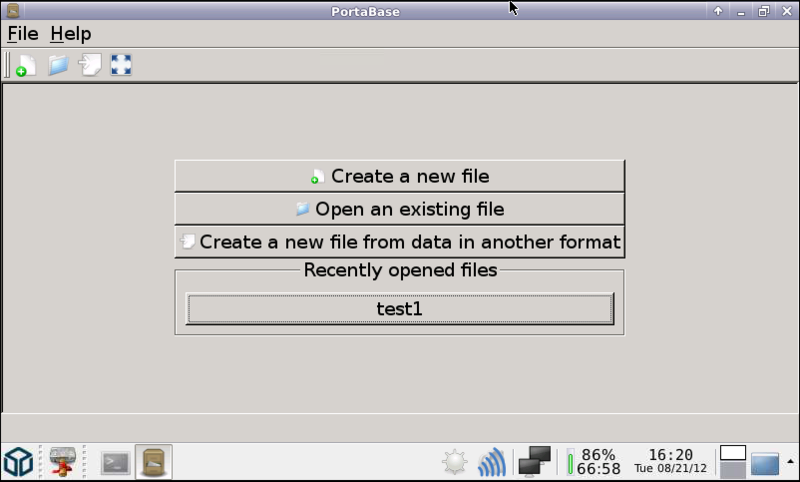 PortaBase is available for many different platforms, including Windows, Linux, Mac OS X, Meamo, Zaurus. You made my day, Pandora was the last device where I didn't run PortaBase. Thanks!